Charles Radcliffe is probably best known for his involvement in the mid-Sixties in radical politics and brief membership of the Situationist International, as part of the outpouring of new ideas and freedom of expression well-described in Jon Savage’s “1966: The Year the Decade Exploded”. Following Heatwave and the Situationist International, Charles Radcliffe continued to be at the centre of the Sixties zeitgeist, including standing trial at the Old Bailey for producing ‘forged’ dollar bills amended with anti-Vietnam slogans, co-editing an underground newspaper, Friends, and moving from London’s burgeoning hash-dealing milieu to becoming one of the last ‘old school’ international hash smugglers of the seventies – no hard drugs, no guns, no gangs, no violence – and serving a lengthy prison sentence. And certainly the writing displays incredible powers of observation: vibrantly conveying friendships, lovers, collaborators, travel, and places, and an intense sense of the flow of time. In addition, the book includes a wealth of detail, particularly on early days of anti-Bomb campaigning, the London R&B scene and enjoyably learned but unpedantic digressions into films, the blues, and analysis of revolutionary politics and the Situationists. All of this is covered with good humour, enthusiasm, a relaxed acceptance of human failings. The overall result is is a fascinating book that is highly entertaining and illuminating about what it was like to live at the centre of the Sixties zeitgeist and the aftermath. 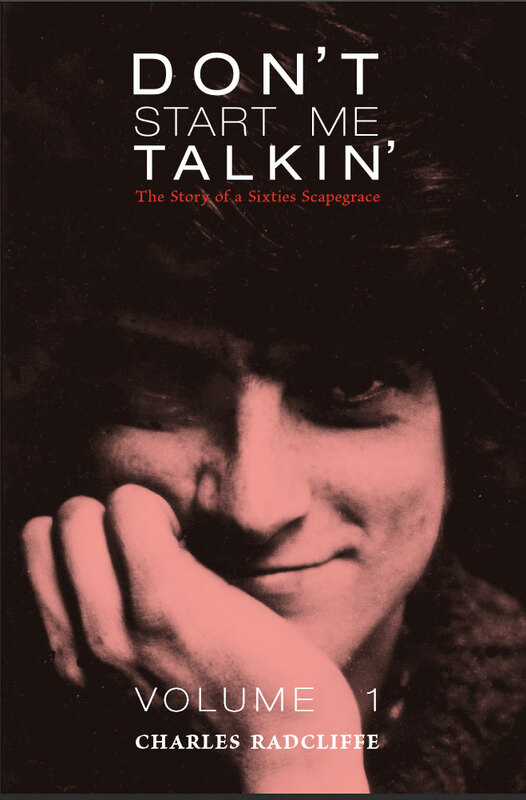 “Don’t Start Me Talkin’” will surely be one of the key historical documents covering the Sixties in the years to come, and certainly one of the most enjoyable. This entry was posted on 22 November, 2017 in homepage and tagged Stuart Barthropp. Bookmark the permalink. in Dorset, Portland, and im still up there: on them roofs.